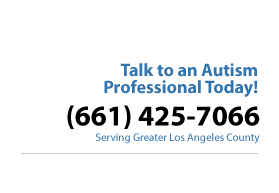 Autism spectrum disorders (ASD) are developmental disorders that typically involve moderate to severe social and communication challenges and generally become noticeable between the ages of two and three. But children are sometimes diagnosed as early as six months. There is no cure for autism but treatment based on the science of Applied Behavior Analysis (ABA) has proven to be extremely effective in decreasing challenging behaviors and enhancing skills development. The benefits of receiving effective ABA treatment is that individuals with ASD can maximize their potential and lead more independent and fulfilling lives. Statistics from the U.S. Centers for Disease Control and Prevention (CDC) indicate that one in 88 American children are on the autism spectrum. Studies also show that autism is 3-4 times more common among boys than girls. An estimated one out of 70 boys is diagnosed with autism in the United States. The increases are primarilly the result of improved diagnosis methods over the past two decades. The causes of autism are extremely controversial and we are not experts in this area. Our expertise is in the area of treatment of autism. But here is a brief summary of some general information related to possible causes. Scientists now realize that there are chromosome abnormalities and other genetic imbalances in individuals with autism. At this time they have isolated the abnormalities that cause autism in 20% of the cases. This is great progress but that still leaves 80% of the cases without an identifiable cause. There are many myths concerning the causes of autism that are without scientific validation, the most common of which is that autism is caused by the measles, mumps and rubella (MMR) vaccination. There is no evidence that this or any other myth has any basis in fact. Behavioral indicators of autism can range from mild to severe. Parents typically notice signs that their child is not typically developing when the child is an infant or toddler but they hope that he or she will become more socially responsive, develop language or stop engaging in repetitive behaviors. Consequentlythey delay seeking professional help. This is unfortunate because early intervention generally results in more favorable outcomes, so it is strongly encouraged that parents seek a comprehensive professional evaluation as soon as they notice social or communication deficiencies in their child. Autistic children do not follow the typical patterns of child development. Some of these symtoms are noted as early as the first few months after birth, but most often are noted between the ages of one and three. Some parents report a sudden regression and onset of social indifference, while other parents report a lack of progress after the child has reached certain developmental milestones. Early intervention with treatment based on Applied Behavior Analysis (ABA) has been proven to be effective with helping autistic children and adults close the developmental gap with their peers. Although there is no cure for autism, treatment based on ABA provides the best opportunity to develop life skills that can lead to an independent and fulfilling life. Starting treatment as early as possible. Intense treatment for children aged from about two and one-half to seven or eight. Consistency of treatment between all providers, parents and other caregivers. Quality supervision by highly trained behavior analysts, both within treatment sessions and outside of sessions. Training of parents and other caregivers so they can continue using the effective procedures that can make such a huge difference in their children. Vista uses the most advanced procedures that are based on the only scientifically-proven treatment for individuals on the autism spectrum, Applied Behavior Analysis. Since 2001 we have successfully worked with hundreds of children and adults with autism spectrum disorder to diminish challenging behaviors and replace them with pro-social behaviors that facilitate their engagement in school, community activities, and daily family life. One of Vista’s core values is our recognition of the uniqueness of each client whom we serve. As a result, all of our programs are individualized to each client’s strengths and needs.